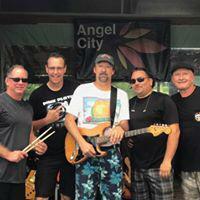 Angel City is Classic Rock entertainment from the 70's to Present. Based in Merritt Island Florida, Angel City is made up of seasoned musicians artfully presenting the genre for the finest in Classic Rock. The band strives to honor the classic rock musical genre and provide a superior live music experience. Eat, drink, dance and rock onnnnn.